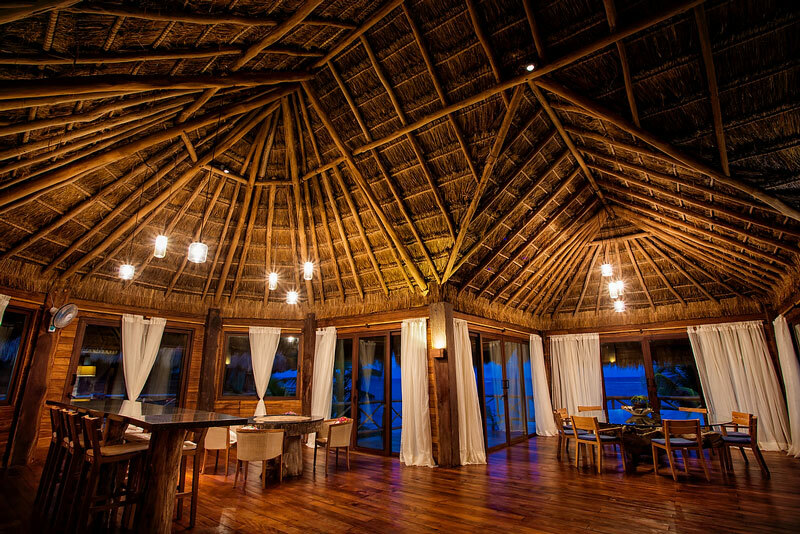 Due to the unique location of the property, the cost of reserving the Sian Ka’an Village for your vacation includes all your food and drink throughout your stay, which covers breakfast, lunch, dinner, snacks, non alcoholic drinks, house wine and local beer. In order to best accommodate your preferences and dietary requirements, our pre-arrival concierge will discuss these details with you prior to your vacation to make sure that the cuisine is tailored perfectly to your needs. The specialty of Sian Ka’an Village, and indeed one of the main attractions of choosing this unparalleled place for your vacations, is the selection and preparation of freshly caught fish and seafood. There are few places where you can eat a fish that was swimming in the Caribbean Sea literally hours (or even minutes) before it arrives on your plate. 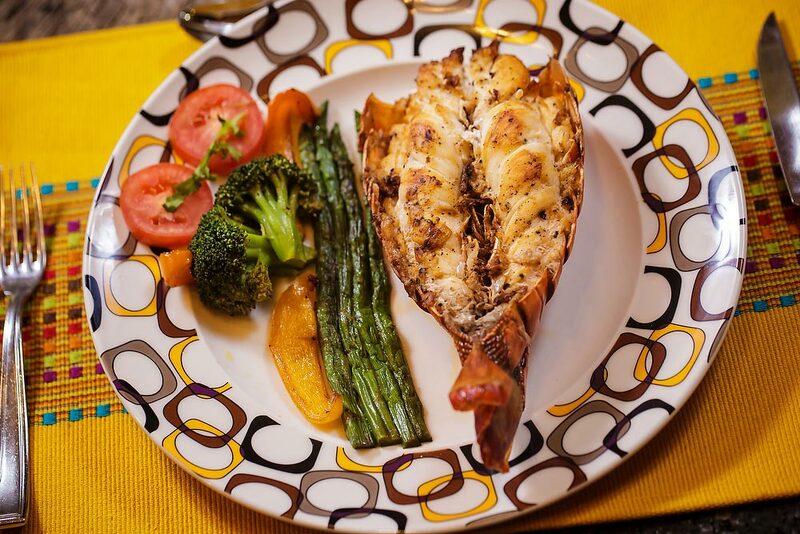 The chef at Sian Ka’an Village brings a new dimension to eating the catch of the day! Having said that, although a diet based on fresh fish is Sian Ka’an Village’s specialty, any special dietary requirements can be accommodated if arranged prior to arrival. Vegetarian menus, raw food retreats and dishes for carnivore-lovers can all be arranged with advanced warning. 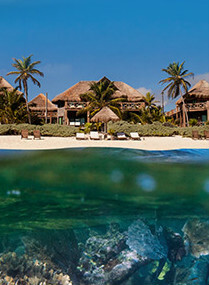 The menu is tailored for each and every group who rent the property as part of our commitment to your unique vacations. 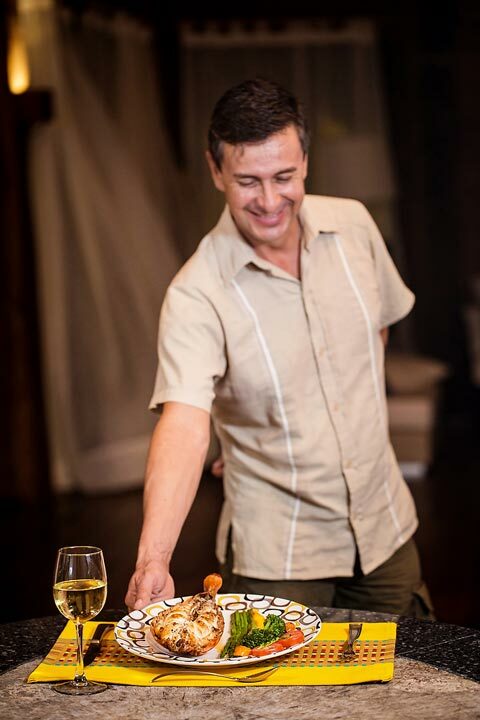 Our chef patron will cater to your specific dietary needs as discussed prior to your arrival. Depending on your personal preferences, you have a choice where you eat your meals in paradise, although experience shows that breakfast and lunch on the Lodge terrace overlooking the beach makes for a wonderful start to the day. 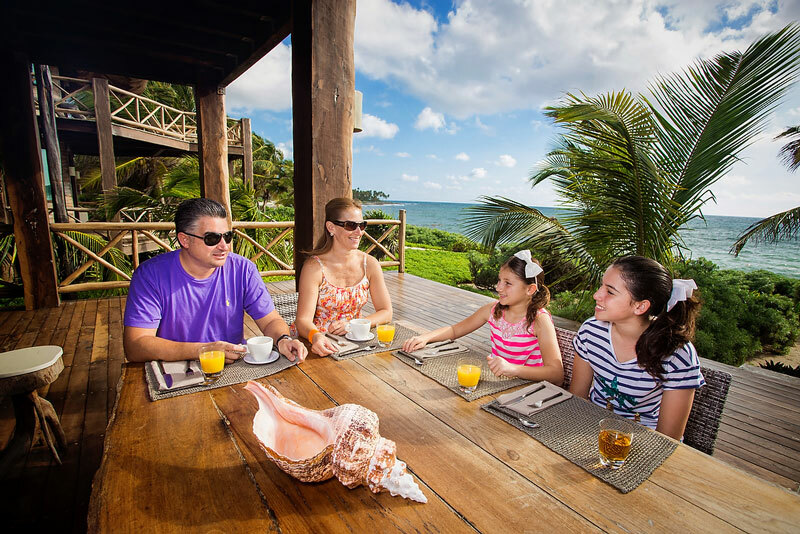 Likewise, picnics can be organized eating lunch or snacks beneath a large palapa on the beach or at a nearby secluded location called La Casa de Piedra where, once again, nature will be your only companion. You can also enjoy drinks and snacks while lounging by the sea on one of the sunbed. Just imagine fresh coconut, or a ceviche salad to accompany your margarita or ice cold beer. 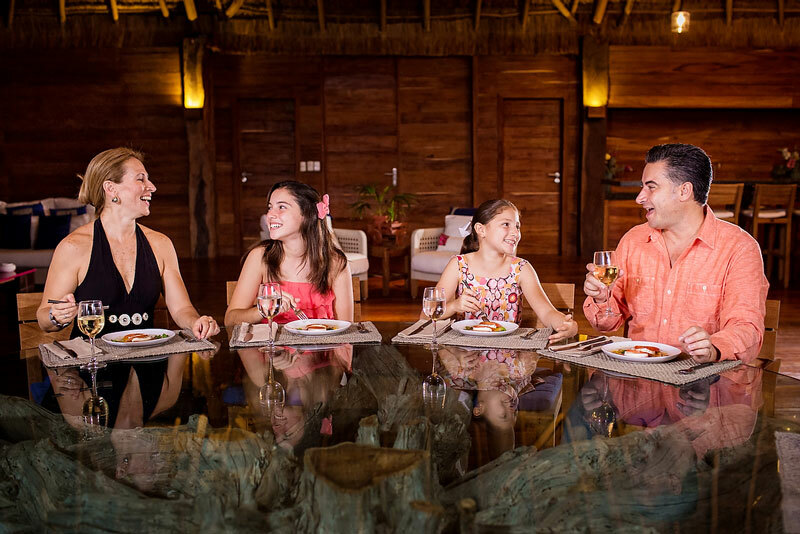 At night, the most comfortable location for dining is in the Grand Salon with its magnificent palapa and large circular table composed of a solid glass top mounted on the roots of what was once a huge tree. The sophisticated ambience here will surely inspire you to dress up for dinner to impress the ones that you love.